Make sure that you understand our Terms and Conditions after reading them as you are bound to them when using any aspect of our site. 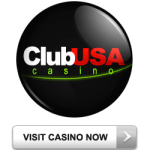 Our site is a non-affiliated reviewer of online casinos. The information about these casinos is to be used for entertainment purposes only. The internet is a global activity and gambling online is deemed illegal in many of the jurisdictions around the world, thus each user have the responsibility to determine the legality of betting online in the jurisdiction where the player resides. Those who reside in illegal jurisdictions should have the responsibility not to access our site.